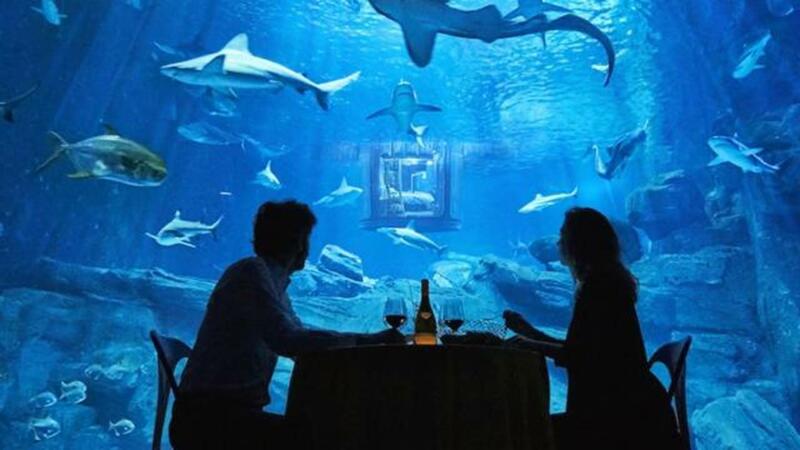 Being told you're going to 'sleep with the fishes' is usually a bad thing, but thanks to Airbnb, it could mean you're about to have the experience of a lifetime. The company is having a contest, and the prize is a one-night, mid-April stay inside the shark tank at the Aquarium de Paris. Neither wetsuits nor full body armor are required, as the accommodation is fully enclosed. The roughly 30-foot deep observation chamber is outfitted with a bed and numerous amenities, including aquatic-themed stuff animals, should one need something to clutch onto. Guests will also be treated to a tour of the aquarium and dinner will be served inside the viewing tank. The prize package includes airfare, and information on how to enter is on the Airbnb website.